I can't wait until Valentine's Day. We had brunch last sunday with all my heart themed accoutrements. 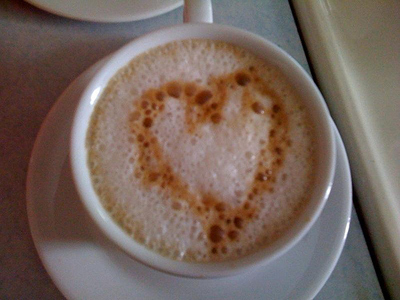 I tried to get fancy with Aaron's coffee and draw a heart in the foam. Ehhh. I could use one of these machines! 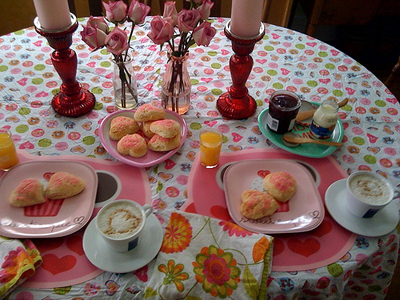 And Aaron made heart shaped scones with pink sugar on top. We had them with cream and strawberry preserves. Sooo gooood. That's very cute! 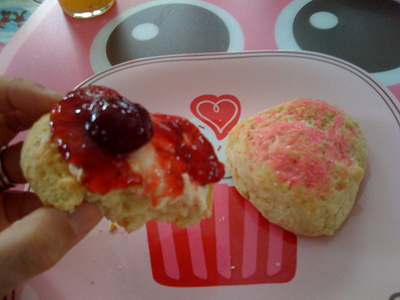 And heart shaped scones? Delish!